Worldwide it affects 3-5 million people and causes 100,000-130,000 deaths a year as of 2010." "Cholera is an intestinal infection caused by a bacteria - and is often linked to contaminated supplies of drinking water." "On a Sunday in July 1832, a fearful and somber crowd of New Yorkers gathered in City Hall Park for more bad news. The epidemic of cholera, cause unknown and prognosis dire, had reached its peak...."
"On 16 November, the Haitian Ministry of Public Health and Population (MSPP) reported that as of 14 November, 17 418 cumulative number of hospitalized admissions and 1 065 deaths were reported from seven Departments in the country." in an effort to stop the disease spreading." Victorian Britain - A Healthy Nation? 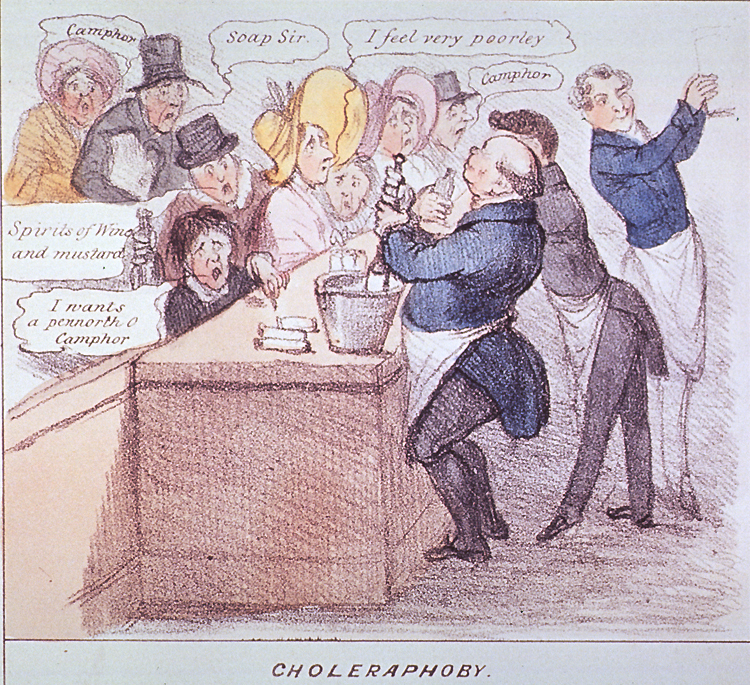 - information about the cholera epidemics. "Click on the icons to view Victorian primary source documents. Be sure to click on the "Full Transcript" buttons if you cannot read the information in the source." 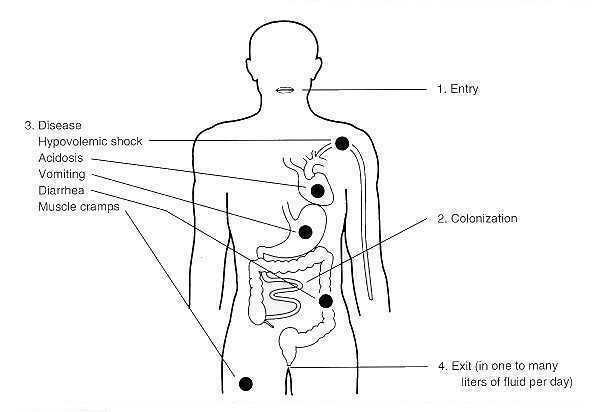 Cholera webquest - Bacteria Wanted Dead, Not Alive! "Your job is to compile information about Cholera. You will then make a "wanted poster"..."
How do you die of cholera? 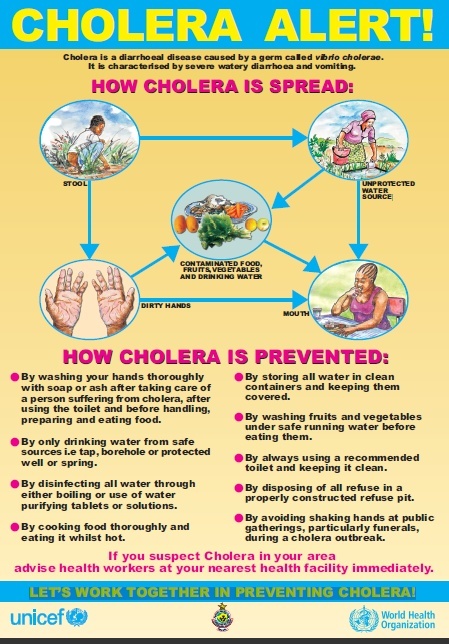 Can you save a cholera victim? Become a quack! The Painted Veil "is a 1925 novel by British author W. Somerset Maugham." "In the novel Death in Venice by Thomas Mann (also a 1971 film by Lucino Visconti starring Dirk Bogard), the main character dies of cholera in Venice; the epidemic is a recurring sub-plot of the story." "In Mary Shelley's Frankenstein, while Victor is preparing his creation, Ingolstadt is struck by a cholera outbreak which actually turns out to be pneumonia." "These resources from Oprah's Book Club include discussion questions, an online quiz, and a character guide." The Painted Veil "is a 2006 drama film directed by John Curran. The screenplay by Ron Nyswaner is based on the 1925 novel of the same title by W. Somerset Maugham. Edward Norton, Naomi Watts, Toby Jones, Anthony Wong Chau Sang and Liev Schreiber appear in the leading roles. This is the third screen adaption of the Maugham book, following a 1934 film starring Herbert Marshall and Greta Garbo and a 1957 version called The Seventh Sin with Bill Travers and Eleanor Parker." "In this edition, we listen to a review of a new Hollywood film, 'The Painted Veil' - and we hear how the film is different from the classic English novel on which it's based." The film explores two significant historical events: the 1832 cholera outbreak in southern France, and the efforts by Italians to wrest independence from Austrian control." Love in the Time of Cholera "is a 2007 motion picture directed by Mike Newell. Based on the novel of the same name by Gabriel García Márquez." "As a deadly cholera epidemic spreads across Haiti's capital, Port-au-Prince, Haitians voiced anger over the administrative failure to respond quickly to the looming health crisis. The official death toll is 724 though some experts have put it at 800."